Forget the doom over currency wars – the dollar-led monetary system boosts global stability, while China’s fixed exchange-rate regime poses risks, argues the IIF’s Charles Collyns, a former US Treasury official, as debate rages over the role of the dollar in the emerging world, in particular. 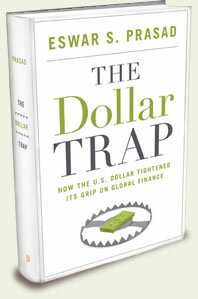 Eswar Prasad’s new book The Dollar Trap provides an excellent analysis of the role of the US dollar in the international monetary system. It’s well written, lucid and insightful, and offers an excellent guide to many of the debates in international economic policy in the last few years. I agree with Prasad’s main argument that the dollar is likely to continue in its dominant role as the world’s reserve currency for the foreseeable future – but I see this not as a trap but as a virtue. Prasad observes that at first sight there are many reasons to think that the dollar’s position would be increasingly insecure. It has faced new rivals in the euro and more recently China’s currency the renminbi. Moreover, the US financial system was the epicentre of the global financial crisis, while the aftermath of the crisis led to a massive expansion of US government debt and unprecedented liquidity injections by the Federal Reserve. Such behaviour would normally tend to undermine investors’ desire to hold a currency. Nevertheless, as Prasad notes, the position of the dollar seems actually to have strengthened. The financial crisis led to an increased demand for safe assets while other currencies do not seem ready for prime time. Prasad also argues that despite all the noise they may generate, US political and legal institutions remain robust and provide solid underpinnings for the dollar. Prasad concludes that we are stuck with the dollar for the want of anything better, even though the financial crisis revealed serious weaknesses in the US system. But he is concerned that the continued dollar-based system is unstable, with big risks for the entire world economy. I have a more positive take. I see the dollar-based system as a continuing source of strength. Certainly the global financial crisis itself was destabilizing and a black mark for the dollar. But since then the US policy response has been quite robust, helping to underpin confidence in the US economy and the dollar’s reserve-currency role. The Fed has been very forceful in providing monetary support for the US economy and ensuring global dollar liquidity, but this has served to underpin investor confidence and has not led to any erosion of the dollar’s value since the crisis. Washington was also aggressive in recapitalizing US financial institutions and in overhauling financial regulations to ensure a safe and sound financial system. Initial fiscal support was helpful in supporting the economy in the depths of the downtown, but has since been reversed, and the fiscal trajectory is now on a clear path to stabilizing the public debt-to-GDP ratio. Moreover, the US private sector remains strong and competitive. I don’t want to oversell this story. The political process has been very noisy and there are serious economic issues, including longer-term fiscal problems related to an ageing population, that need to be addressed to underpin the continued prosperity of the US. The recent failure of US Congress to authorize an IMF quota increase is deeply disappointing and tends to undermine the view that the US can be relied on to play a sensible leadership role in safeguarding the international monetary system. But overall US policy and economic fundamentals do look quite strong and are underpinned by the open, transparent and effective institutions that Prasad rightly emphasizes as important. I also have to recognize that policymakers abroad have not always appreciated US policymakers’ efforts, and in particular some have complained vociferously about US quantitative easing and the associated surge in capital flows to emerging markets. 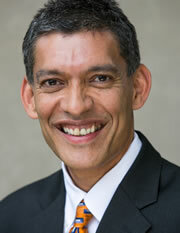 Prasad devotes several chapters to these so-called currency wars, laying out both sides’ point of view. But a couple of times he does say that currency warfare is a zero-sum game, because one country’s exchange rate must appreciate as another’s depreciates. I disagree. Aggressive quantitative easing by the Fed has had substantial benefits for the global economy by helping to avoid a deeper and longer recession in the US, with clear benefits for trading partners. I accept that the Fed’s behaviour has sometimes created headaches for policymakers in other countries faced by volatile capital flows – both in the monetary-easing phase leading to surges and now in the wind-down phase leading to retrenchment. But there are a variety of policy approaches that can be used in the capital-receiving countries to reduce strains – including to ensure balanced macro policies, a flexible exchange rate and appropriate macro prudential tools. Countries need to be pragmatic. To be sure, the Fed can help by being as clear in its communication as possible. Last summer it was not very clear and emerging markets paid a price. But the alternative of the Fed sitting on its hands and doing nothing would surely have been much worse. Prasad spends numerous pages looking for something better than the present system, including ways to achieve better coordination at the G20 or elsewhere to manage the global economy. I am sympathetic that there would be gains to increased coordination but quite pessimistic about the prospects. Ideally, the G20 can play a useful role by bringing senior officials together to help understand each other’s policy challenges and generate political support for joint action and rule making. But it is likely to be hard to make significant progress when the policy prescription is different across countries and when the policy asks of countries may be accepted in principle but often go against governments’ short-term political interests. So it may be possible to reach agreement on overall directions but hard to reach agreement on concrete timetables for action. Frankly, that has been the case in the last couple of years at the G20. Limited political capacity for international economic cooperation certainly has costs. For example, in the area of global current-account imbalances, we have seen a substantial reduction in imbalances in recent years, but this has been achieved more through demand compression rather than demand rotation, as deficit countries have restrained demand but surplus countries have continued to rely heavily on export led growth. The global economy has grown slower as a result. This brings us to what is the biggest flaw in the international system – not the continued dominant role of the dollar but the continued heavy management of China’s currency. This inflexibility in the currency of the world’s largest exporter and second-largest economy reduces the capacity of international exchange-rate adjustment to buffer global shocks and manage long-term shifts in the global economy, such as the rising share of the emerging markets. Steps to move to more flexible exchange-rate management together with continued opening of the capital account and domestic financial reform would bring great benefits both to China’s economy and the global economy. Over time, the dollar’s dominance is likely to be slowly eroded as the euro area strengthens its foundations and China does move to a more open capital account and flexible exchange market. Reserve managers and investors more generally will tend to become more comfortable in other major currencies as a store of value, and the US will slowly occupy a smaller part of the global economy. But this shift to a more multipolar system will be driven by the market, not by policymakers’ design. Whether it will offer greater stability than the current dollar-led system remains to be seen.